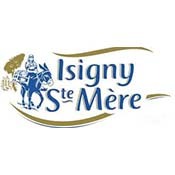 Isigny Sainte-Mère is an independent dairy cooperative. Their members are milk producers who deliver to the cooperative. Their skimmed milks meet the highest standards of food safety, quality and are fully traceable. This allows Isigny Sainte-Mère to sell a very wide range of infant formula milks all over the world, made to world class standards.